Australia Day should be for all Australians, but for Aboriginal and Torres Strait Islander people who mark the day as one of invasion, survival and mourning, it is an emotional day. 26 January is an important day in our history, but it is not a day for celebrations. We need to move to a date that is inclusive of all Australians. 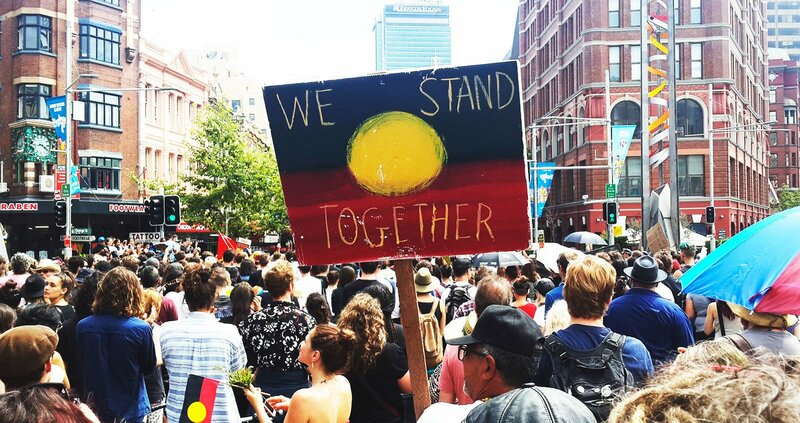 Although Australia Day has only been officially nationally celebrated since 1994, Aboriginal and Torres Strait Islander peoples have been protesting on 26 January in New South Wales since in the 1800s. 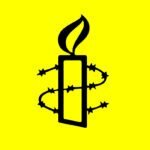 As such, Amnesty is calling on our leaders to acknowledge the issues with Australia being celebrated on 26 January and start a consultation process to change the date of Australia Day so it can be celebrated by all Australians. Over recent years momentum has grown for changing the date, with some local councils around the country amending their celebrations. There has been extensive public and media debate. In 2017 there were large public protests across the country, and there are more planned for this year. Amnesty has supported #ChangetheDate for the past few years on social media and via our website and by giving people a platform to speak on why they choose not to celebrate on 26 January. Now we are taking a step further and asking you to stand with us and in solidarity with Aboriginal and Torres Strait Islander peoples across this country. We encourage all of our supporters to attend Indigenous events on and around 26 January. We have created a national list of events so you can find an event near you. If we’ve missed any events please feel free to let us know by emailing details to Tracey.Foley@amnesty.org.au. Write a letter to the editor of your local paper explaining why you support #ChangetheDate. Check out changeitourselves if you want to learn more about how to talk with your company to see if you could work on 26 January and take the day off on another date. We want to know if our supporters are interested in attending local events. Let us know if you plan on attending a local Survival Day or cultural event near you. Australia will continue to change and mature. Let’s help shape it into a united, inclusive nation. A nation which we can all be proud of, one in which we respect, listen to and work with this nation’s First Peoples. One in which our national day of celebration is for everyone. Our country’s history goes back well beyond 26 January 1788. It began over 65,000 years ago — and we’re still making it now. Let’s stand together and respect the survival and resilience of the oldest living culture in the world and #ChangeTheDate. P.S. Want to learn more about why this is important? Check out our Cultural Competency modules presented by Amnesty International Australia’s Indigenous Rights Team. These modules will equip our staff, activists and supporters with the necessary skills and considerations to best achieve success with our Indigenous Rights work.